An issue that remains a sore spot for dedicated Nintendo fans is amiibo stock - while some figures are commonly available, others are particularly rare and hard to find. Over-pricing from private sellers and rapidly sold out pre-orders are common occurrences with particularly popular figures. Nintendo has apologised on past occasions for the issues and promised more manufacturing, while issues such as the port strikes in the US were cited to shareholders. The scale of the issue isn't particularly well-known, however, yet Reggie Fils-Aime has finally provided some clarity. Speaking at E3, the Nintendo of America President talked up the value and versatility of the toys, before explaining that the company is having to double and triple original estimates when planning production. We're at a point where we have to take our volume estimates and double them or triple them based on the levels of demand we're seeing. We're working very hard to meet that demand. Reggie Fils-Aime did admit, however, that despite Nintendo's efforts "the consumer demand continues to outpace supply". This is certainly some welcome acknowledgement, yet with even more amiibo figures and ranges announced during E3 the pressure will be on to deliver promised improvements in supplies. But double or triple of zero is still zero. You acknowledge the problem. Then why don't you something? @TwilightAngel To be fair, it's not something that's easy. It can take months to make more stock...then again, I can't help but question if it can REALLY take at least half a year. So basically, Nintendo themselves didn't think amiibo would be that popular? Isn't that kinda sad? They definitely need to step production on the harder to find ones. It was a joke when they announced the support for the Fire Emblem characters in S.T.E.A.M., I have not seen one of those figures yet. And sens a clear message that stock will be properly and regularly replenished. If theres just one, big, restock wave, we have the same skalpers running amok again. Why do people keep buying these things!? There isn't an in game reason for them, and the figures are ok, but not incredible. They been acknowledging this for months. Perhaps one they're done releasing all the Smash amiibo they will go back and make more of the uncommon ones. 1: They look nice as decoration. 2: They're the highest quality Nintendo figures available to the public. 3: They are the Pringles of toys. Once you pop you can't stop. Would be nice if they actually did something about the problem than just acknowledging it. I still want the Ness I haven't found yet, but the magic of amiibo has been steadily declining for me, and all because of these issues. We are lucky in Australia. I have seen some Wii Trainers, Villagers, Pac-Mans, Captain Falcons, Robins, Marths, Little Macs etc. just sitting there in stores this week. I wonder how the whole manufacturing process for amiibo goes. Are they made by Nintendo themselves, or do they order them to third parties? Either way, yeah, a restock is certainly needed. Product scarcity only means that scalpers will keep gouging people who are desperate enough to pay obscene prices for the toys. I was actually thinking if there are people who buy the figures for their own sake, without intending to make use of them in video games. If so many adquire them just because they look nice, perhaps Nintendo could venture into traditional, non-NFC figures? There could be quite the potential with the merchandising there. But will they double or triple the current amiibos slated for the next few months? Or has a smaller number already been put forth and when they're gone, they're gone? Again it's vague. The doubling or tripling may come later. Regardless, no one will be able to get Duck Hunt. 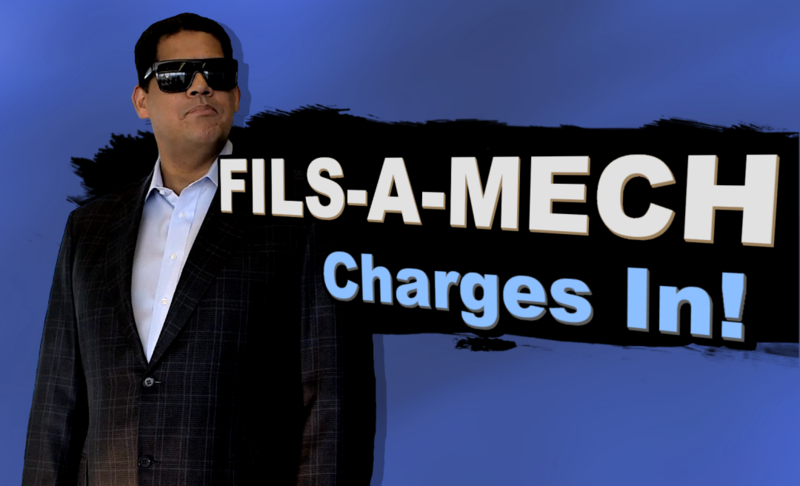 Maybe Iwata told him to go home and sent in the Fils-a-mech for damage control. Was he wearing sunglasses? @Stubborn_Monkey I can see them selling the chips in the card format Animal Crossing is using, while the figures are their own separate product line. I'd imagine this might work very well for Nintendo, actually. Yeah, perhaps... but, on second thought, I guess it would defeat the whole purpose of amiibo: presenting an attractive way of purchasing aditional content for the games. Separating the figures from the video games could hurt software sales. Then your estimates are off Reggie. Way off. That means your bean counters need to do some more research on consumer demand ASAP. It's not the first time there's been acknowledgement of this. I'll believe it once I see it. At this point, I'm less worried about amiibo stock, but about the sheer number of individual amiibo figures available and planned. This heavily contradicts Nintendo's intention of keeping amiibo compatible with as many games as possible, since stuff like Isabelle, K. K. Slider, Able & Mable, the Inklings, and Chibi-Robo don't have that (unless you count the non-feature in Hyrule Warriors, and the waste of time that is amiibo Tap). And even among the Smash figures, several of them have nothing to offer outside of Smash. So, instead of constantly introducing new figures, they should focus on getting their stock issues resolved, and then come up with some proper amiibo-based additions for older figures in released and future titles. @hYdeks It's the Wii issue all over again. They do short supply, the demand is highier than the actual supply, Nintendo would need to increase stock, finally increase stock to closer meet demand. That final part is where Nintendo is aiming to get to. Well, they'll try multiplying the order by 3.5 times the stock before quadrupling it. If there's still customers upset, they'll quadruple it at that point. Shipping 5X the stock? Out of the question, they don't want uninformed customers to have a chance to see these characters just sitting on the shelf to maybe then become interested in their products! It's a tough perception problem to solve. If I don't see the amiibo I want, nothing has changed from my perspective. Meanwhile restocks are happening and plenty of people are getting what they want. Some don't even try to get it on launch day and just casually walk by and see that the one they want still isn't on the shelf. Nintendo has to overstock and expect shelf space to be filled with unsellable amiibo in order to change perception. A tough pill to swallow, but I think some goodwill towards customers is in order at this point. I mean, hey, we bought Splatoon! How many times has it been now since they acknowledged this now? And it the issue still never gets addressed? It'll be just like what they said about the Virtual console and how they need to fix that and never did. @TwilightAngel They do. Germany got recently restocks of Meta Knight (which was available on amazon for a few days), Lucina, Robin, Ness, Captain Falcon, Zelda and Luigi (Super Mario Collection). Some of those were only available for a very short time at retailers, so your best solution is, to order your figurines in some random online-shop, wait a few weeks/ months and you will likely get it. At least here it works this way. I just want more games to use my Pikachu amiibo. 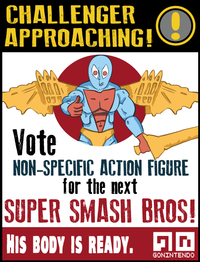 Seriously 3rd best selling amiibo, mascot of the 2nd most popular IP, and still no support outside Smash? Well that and to stop the exclusives since they cost me the chance to get Lucario, if Dark Pit, Palutena, Falco, or Mewtwo is exclusive I'll be pretty mad. @ASonic3582 would be cool if you could use the pikachu amiibo on omega ruby and alpha sapphire for some reason, or in x and y, I would love that! Hey Reggie, how about making a game that actually gives a compelling reason to get amiibo? You are getting there with the Skylanders crossover but still have a ways to go. "They've been acknowledging this for months"
In fact I just got TWO Wii Fit Trainers from Amazon today. From the restock that is going on as we speak. And it's not all Amiibo. I just ordered 18 Amiibos yesterday (all the commons) to finish off my sealed collection. And I already had a few of the commons so I'd estimate there's at least two dozen available right now. So it's really just the other two dozen rare ones. It's going to take some time, probably two or three waves of restocks, but eventually they'll have replenished these to the point of excess. It's going to take a little bit of patience, but if you're really eager to get your hands on amiibo pay attention to what's going on in other countries and import. Japan is currently undergoing one of the largest restocks since launch. I was able to order 8 of the hardest to find Amiibo both at Amiami and at Amazon Japan through a forwarding service. For people who keeps a close eye what goes on in the amiibo world and remember past stocks, he speaks the truth. For everyone else, It all lies and/or empty words. Like JaxonH said, it going to take patience. The real test of fate will come when the holiday seasons come back around. @MasterGraveheart I saw a bunch of Meta Knights at my local Best Buy today. I just want Amiibo hunting to be fun. It's gotten to the point where I waste so much of my time looking at Mario and Peach that it's nothing but exhausting. Bought my Pac-Man amiibo online, should be arriving in the mail tomorrow! I want the card based amiibo. I don't have space for the figures and I want the gameplay features. The one problem with restocks here in the UK is it means the prices will go up. It started as 10.99, then 12.99, then 14.99, and now 19.99 for one figure. It's ridiculous. I'd say this is a better answer than the previous acknowledgements. I do think they should slow down with introducing new amiibo so they can get caught up with the demand for the current amiibo. However, if they have contracts in place for upcoming amiibo that haven't yet been announced, they do have to go forward with those. 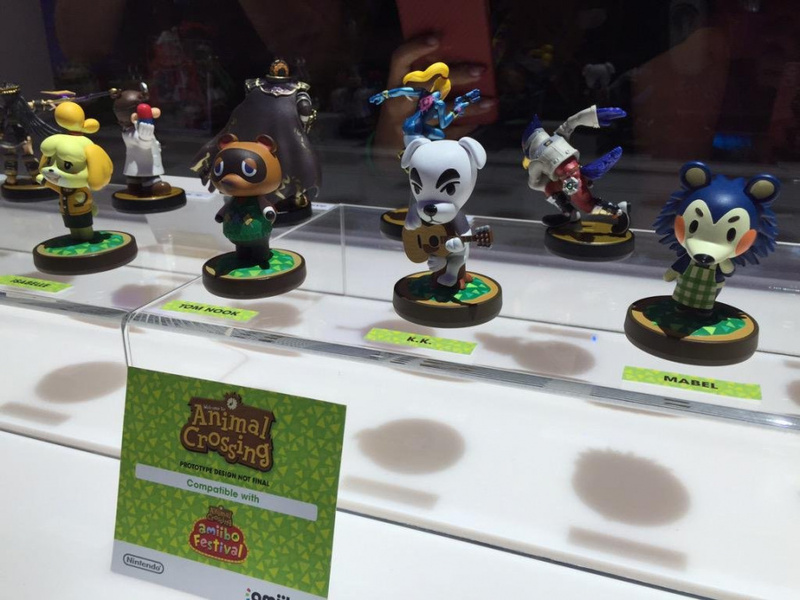 I just wonder how many different amiibo they had planned out outside of the Smash amiibo. No need for it. I rather have they make games again. Games we actually want. It is possible for this to be done right. I just went to EB Games, Perth, Australia, today and chose the best of 4 Villagers they had (I'm gonna open this one, I have one MIB already). And picked Little Mac up too. Maybe it's some Amiibos being store exclusives that are exasperating the problem elsewhere? I've been able to get all the amiibos I've wanted (ok, ok, I didn't get Little Mac). I stopped collecting Amibo's after the second batch. Too complicated. So i will stick with my seasons 1 and 2 and that's it. No more of those. Need to get the cards rolling for all amiibos for those of us who can't afford / don't want all the figurines but still want the functionality!!! @JaxonH Other than the super-common (i.e. boring) Amiibos, they're nigh impossible to find in stores in Japan. Every time a new set gets released I go around to the stores that stock them, whether I'm actually interested in the new figures or not, and they're always completely sold out by the time I get there. I guess the lesson to be learned is that I should skip out on work on those days. Or just order them from Amazon, though I still haven't figured out exactly how to explain to my wife that I'm spending over 1000 Yen on a chunk of plastic that is so futuristic that it interacts with games I don't own. I was hoping for something like Nintendoland 2 for amiibos. The deal with skylanders shows me that they don't have an own game in the pipeline in the next 9-12 months. I have only 6 figures at the moment and im waiting what happend with the support and availability. Most if the time my kids used them for mario party. Ah man speaking of Amazon JP, last night they had a massive restock! I got Lucina, Robin, Ike and Marth, all ordered separately at different times for $10.93 each (gotta love that conversion rate). I passed on MetaKnight, Lucario and Rosalina because I've ordered so many of them during these restocks that I just don't need anymore. I didn't really need the ones I ordered either but I love fire emblem and I have the sickness- I just can't resist ordering at MSRP. Yeah you just got to keep tabs on what's going on. Get yourself an alert that lets you know when these amiibo come back in stock. How the restocks have been working on all the Amazons is they enter them in as they load them off the truck, so they'll come back in stock 12 at a time, 15 at a time, etc. so they tend to flicker in and out on the website derive the course of many hours for many days. It's quite possible the restock is not over on Amazon JP. I just sign in and get my one click settings ready, then refresh the page while it's flickering and as soon as you see the price drop to MSRP and say sold by Amazon, click the buy it now with One Click. @Kaze_Memaryu Thank you, this is what I've been saying. They need to increase compatibility rather than just introduce more and more amiino. What was supposed to make amiibo stand out from other toys-to-life platforms was their potential ability to be compatible with a wide variety of games for a wide variety of features. Now they're doing the exact opposite of that! We don't need those new DK and Bowser Skylanders! Use regular DK and Bowser, because that's exactly what amiibo are for! Chibi Robo dhas no reason to have an amiibo; that powerup could have easily just been in-game. And I would be shocked if the new Animal Crossing amiibo, as great as they look as figurines, will be used in anything other than this one purpose in their one game. Nintendo needs to quit making more and more new amiibo and concentrate on making more games compatible with the amiibo they already have. Amiibo aren't region locked. All regions are identical except the packaging. I have a complete set of US sealed amiibo, and an open box set, But I do by other regions as well. The ones I bought last night (FE characters were from Amazon Japan but the WFT I got was from the US Amazon. They purposely created a crazy demand by under producing, to the point that when you see an uncommon or rare you feel the need to buy. Everyone reads the articles and see the prices on Ebay and it only feeds the system. Now that the feeling of needing something has been planted in the fan base, they will crank them out. @JaxonH For real? Could of swore I read that they were region locked! how much do they charge you on shipping for those, though? I found a Dedede for $10.99 on Amazon the other day in a Japanese store, but they wanted $30 in shipping. Might as well just pay $40 for it on Ebay for that price. European Amazons are about $15 shipping so it's not really worth it for just one figure, that's why I order an entire wave at once. Then you're paying an average of $4 extra per figure. I use a forwarding service to order from Amazon JP and have sent to US. But if you live in Japan you can order there for free. Amazon US also ships internationally. YesAsia has been jacking up their prices but they do have free international shipping. If you can catch a rare amiibo for $20 usually I order from them also, but you have to order at least two to get free shipping. Amiami is the best JP site. I paid $20 shipping for all of wave 5a from them, but the amiibos themselves were only like $10/ea because of the currency exchange rate. @MasterGraveheart But quadruple of zero is still zero. @JaxonH - Nintendo should make an amibo of you. Lifesize. My sister is the head of video production at Refinery29, I think you are a good candidate for your own documentary. Or at least a main part of a general amiibo one. I'll mention it to her. I'm glad you acknowledged your amibo obsession as a sickness, and I'm glad you are able to get all the amiibo you want, but your personal stories aren't really addressing the real issue, normal people who want to buy toys for themselves or their kids, nieces, nephews or grandkids. If Nintendo had just started amiibo as "special edition collectibles" then nobody could argue about the stock issues. Or if they would simply say - "we aren't making any more Villager amiibo, so don't bother looking" or say they will be restocking all amiibo after they are done w/ the entire set of SSB. But all we get are them repeating they know there is a problem and they are working to fix it, but we don't get any details or facts. Nintendo needs to just get in front of this and plainly and clearly state: "We are not a toy company, we are a video game company, we never intended to continue to mass produce these as a long term continuing toy line, they are special 1 shot items with limited quantities, and you should not expect to be able to go online or into a store and ever see these as readily available to purchase. That is not what amiibo are." That is how they handle the stock shortages, honestly. Not w/ all the BS doublespeak. Ono to better things. There is a really good video in MI I verse of Bill Trinen and a woman from Tree house looking at amiibo. It's about 15 minutes long and well done. Ganondorf and Psulentena are the best looking amiibo I've seen so far. If I ever saw them on store shelves I would buy them. Are you going to buy 2 Skylanders Chargers games to get Bowser and DR if they aren't sold sepsretly, which I don't think they will be as they only work in Nintendo versions, or will you eBay them or pass? Just curious. I want them, badly, but Idk if I want them bad enough to spend $75 to obtain them. I'm probably going to see if I can't obtain them some other way. When you say Nintendo acknowledges the problem but does nothing, i'm pretty sure they announced they were going to do restocks, and have been in the process of restocking for several months now. I'm not sure what more action can be taken than that. And they did actually say that some of these are not going to be restocked from the get-go. But getting back to that problem they've acknowledged, is it a problem they are responsible for or is it a problem of demand simply outpacing manufacturing capabilities? I think it's the latter. I think it's just a really hot product the entire world is fighting each other nail and tooth to get, and naturally manufacturing can only make so many per month. So I'm not really sure it's a problem they CAN solve other than continuing to restock as the months go by and hope that eventually supply reaches demand. Like I said I don't think it's a problem of them making too few amiibo (estimates at 70k per day, per DAY), I just think it's a problem of consumers buying too many. @JaxonH - I know they can only make so many, but it seems like they aren't trying to hard to explain to people that they just simply can't get all the ones they want. Not sure what dating is like in the midwest these days (I haven't dated in almost 20 years, 25 in Kentucky), but are you familiar w/ the phrase - "Come here, come here, come here. Get away, get away, get away."? The short version of that is "tease". They keep having all these amiibo games and videos tempting us, but they are still difficult for the average toy consumer to find. Didn't they say at the beginning they would never make a game like Skylanders and Disney INfinity where you needed the amiibo to play? Didn't they just say you needed amiibo to play AC:aF. Not just 1, but 1 per player? And do they really need to make 2 8 bit Mario and 2 versions of Rob? If they are that hard to make, just make 1 of each of those and that gives you that much more manufacturing capacity for Palenteena and Duck Hunt dog. That's why Nintendo is so annoying, they say 1 thing then do another. The entire SMB line was unnecessary, they could have been making more Little Mac, Villager, fit Trainer. They didnt' need the SMB series AT ALL. they just could have made Captain Toad instead of generic Toad for Treasure Tracker, like Chibi for his game and the squidlings for amiibo. If you do want those 2 Skyalnders, if history is anything to go by both sets will be half price Black Friday. The 3DS set will probably only be $20 then, about the price of ordering from Japan w/ shipping. And Activison has been very quit about the 3DS and Wii racing games, so they may even launch later, they weren't shown at all at E3, generic kart games incoming. Understood. I finally got around to collecting the commons, and stopped by TRU and Best Buy not 20 min ago. All they had was SMB line, Mario and Pikachu, and BB also had Bowser, Link, Zelda and Luigi. Pretty lame. They did say they wouldn't require amiibo to play a game, but Animal Crossing is free. So there's really nothing to complain about there. Not paying any money for the game. The extra ROB version is for JP since their Famicom looked different. It's not an extra figure, they're just painting those in Japan differently. They also need to work with retailers to change how preorders are taken because the way that it is done now just allows scalpers to take advantage of a flawed system. The figures are really nice for their price, and they are collectors items. They do have some uses I game (my brothers really enjoy their functionality in Super Smash Brothers), but I feel that the majority of the people that buy them are collectors. Myself included. Pro tip: go out to physical stores on opening day, if possible. I have been able to get pretty much all the figures I want by doing that. I can't wait for Palutena and Dark Pit! Palutena looks so freaking awesome.... I really hope I am able to get her! sigh.... again, there are no rare amiibos. Open google, browser for a Japanese amiibo retailer (find and select to view the page in English). Choose your amiibo, (with the weak yen you are up for a good bargain), pay your additional 10 bucks for expedited insured shipping (comes still much cheaper than buying it from Amazon of people that do exactly what I mentioned above), and you will have your "rare" amiibo in notime, lol. Every single amiibo that is considered "rare", I got it myself, spending max, 25 bucks with insured shipping incl. sent to me from the great empire of Japan. There are no rare amiibos, there are only simpletons that call them rare when they don't know how to find them. @JaxonH - "The extra ROB version is for JP since their Famicom looked different. It's not an extra figure, they're just painting those in Japan differently." OK, I had no idea about that. Are you going to try and buy 1 of each anyway? Is it the same for the 2 8 bit Mario? @rjejr Pretty sure it means by any means necessary, or one way or another. I'm not so sure about the Mario. I've been told one is 8-bit retro Mario and the other is 8-bit modern Mario, but why they'd make an 8-bit version of modern Mario is beyond me. Perhaps something in Mario Maker or maybe, as you suggested, one is for Japan. @JaxonH - Amazon US still has silver Mario in stock so maybe they are getting better and manufacturing in quantity? Guess I should have bough ta different one instead.